Washington State University has two tree fruit breeding programs targeting the development of new cultivars that are suitable for Washington’s climate. In addition to conventional breeding techniques, both programs use DNA information (genetic markers) to improve the breeding efficiency by more informed choice of parent and by eliminating seedlings that lack the desired traits. The pome fruit breeding program, led by Dr. Kate Evans, is based at the WSU Tree Fruit Research and Extension Center in Wenatchee, WA (pome fruit breeding website). This consists of both apple scion breeding and pear rootstock breeding. 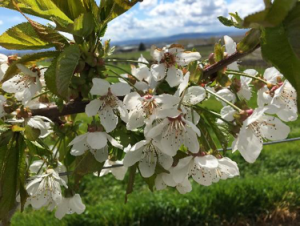 The sweet cherry breeding program, currently under the direction of Cameron Peace, is based at the WSU Irrigated Agriculture Research and Extension Center in Prosser, WA. An overview of the apple and sweet cherry programs can be found below. Information about the complimentary genomics research efforts are found on our Genetics & Genomics page. Click on the crop heading to view the breeding program overview. The Washington State University apple breeding program began in 1994 to develop new varieties suited to the unique climate of central Washington and that are available to Washington growers. Washington is the leading apple producing state with over 60 percent of U.S. production. Unfortunately, many of the new varieties developed in the world are not well adapted to growing conditions in central Washington or available to the majority of Washington growers. 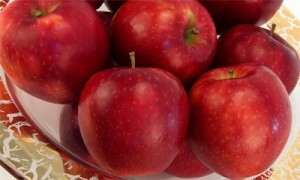 The goal is to produce apples of an improved eating quality, particularly focusing on outstanding texture and storability. The WSU apple breeding program is a conventional breeding program, hybridizing parents with desirable traits. Promising seedlings are selected from large populations and their fruit is evaluated in the laboratory for eating quality and suitability for long-term storage. This program was one of the 12 core US breeding programs of the SCRI RosBREED project, ‘Enabling Marker-Assisted Breeding in Rosaceae’. 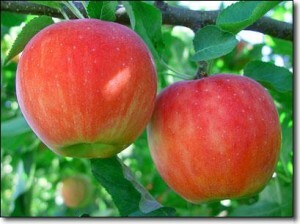 Cosmic Crisp® WA38, is the newest WSU apple variety. 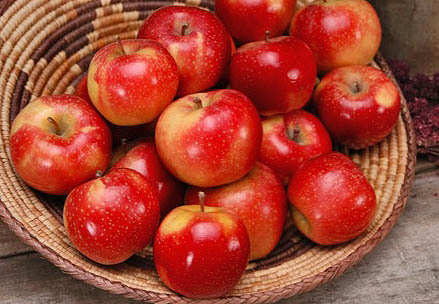 The WSU apple breeding program recently released Cosmic Crisp® WA38 an eye-catching, large, dark red apple with a remarkably firm, crisp, and juicy texture that also stores well. The apple has outstanding eating quality, exceptional flavor, ample sweetness, and sufficient tartness to impart real character. Our feeling is that when it comes to the combination of taste, texture, and beauty, the Cosmic Crisp® WA38 apple has no equal in today’s marketplace. The first commercial trees were planted in 2017. Visit here for more information about this new cultivar. There are several online resources for learning more about Cosmic Crisp® WA38. The primary source for information is the dedicated Cosmic Crisp™ WA 38 website. Many Good Fruit Grower articles have been written about this apple discussing various aspects of both the fruit itself and on growing the trees. The Tree Fruit Team has also produced a great YouTube video featuring Dr. Kate Evans, Dr. Stefano Musacchi, Tom Auvil and Dave Allan: “Cosmic Crisp® WA38 Field Days”. Additional information can be found in the Cosmic Crisp® WA38 factsheet and in this preliminary horticultural research report. Sunrise Magic® WA2 was the first WSU apple variety released to Washington growers. Cosmic Crisp® WA38 is only the most recent variety released by the WSU apple breeding program. The first release from the program, ‘WA 2’, was offered to Washington State growers for evaluation in December 2009 because of its outstanding eating quality, appearance, and extremely long storage life. This variety has recently been released as ‘Sunrise Magic® WA2′. View the press release here. Visit here to learn more about Sunrise Magic® WA2. WA 5 is an attractive, medium sized variety with excellent texture and a balanced sugar/acid ratio. Following on the heels ofSunrise Magic® WA2 was ‘WA5’ in 2011. Visit here to learn more about ‘WA 5’. Several other elite selections have been planted in commercial grower trials in central Washington. The principal investigator for the WSU apple breeding program is Dr. Kate Evans, located at the Tree Fruit Research and Extension Center in Wenatchee, WA. To learn more about this program and new WSU apple varieties visit the apple breeding website. 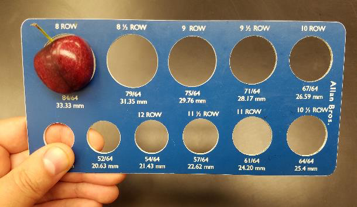 To learn more about the selection process watch our YouTube video “Fruit Testing at the WSU Apple Breeding Program,” with Dr. Kate Evans and the tree fruit breeding program team at WSU-TFREC. Over the last few decades in the U.S., utilization of size controlling or dwarfing, stress tolerant and precocity-inducing rootstocks has stimulated the modernization and industrialization of the orchard systems in the U.S., resulting in steady growth and profitability of various fruit commodity industries. Such rootstocks have been extensively utilized in apple, sweet cherry, peach and several other perennial specialty crops. 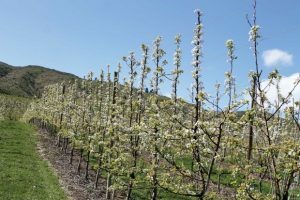 In contrast to several other fruit crops, the U.S. pear industry lacks appropriate rootstocks on which to establish modern high-density orchards. Without appropriate rootstocks, there is a reluctance to plant new high-quality scion cultivars that can enhance consumer satisfaction and increase the profitability of the pear industry. The adoption of several other orchard innovations rests on the availability of rootstocks, for example improved production efficiency, worker safety and reduced pesticide inputs. In many international pear producing regions, production systems for pear mirror those of apple as they rely on dwarfing quince rootstock. In the PNW, growers have been reluctant to transition to current commercially available quince rootstocks since they lack cold hardiness. A recent collaborative effort by the U.S. pear industry and research community has resulted in the development of a roadmap to focus attention on urgent needs. The long-term goal is to revive and modernize the U.S. pear industry and to increase its sustainability by enhancing orchard efficiency. Progress towards this goal was started recently by the establishment of the Pear Genomics Research Network (PGRN) which brings together researchers and industry representatives of the major pear producing areas in the U.S., namely Washington, Oregon and California. 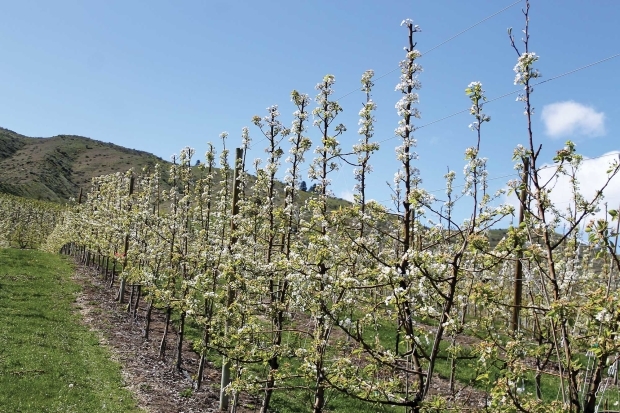 The aim of these efforts is to build on recent (and concurrent) research to develop a long-term dedicated pear rootstock breeding program at the Tree Fruit Research and Extension Center in Wenatchee, WA. The Pacific Northwest Sweet Cherry Breeding Program was re-established in 2004 to develop superior new cultivars for the PNW Sweet Cherry industries. 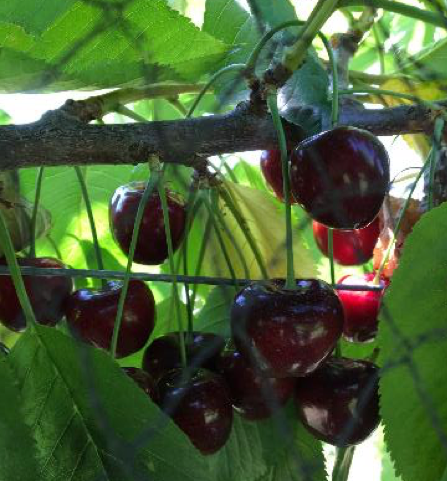 Extensive breeding resources, including a diverse germplasm base, with a continuum of genetically improved plant material from parents to seedlings and advanced selections, has been established to start a new stage of the WSU Cherry Breeding Program. In the last two years, Dr. Cameron Peace (WSU, Genetics) and Bernardita Sallato (WSU Horticulturist) have been preparing for an incoming new permanent breeder by streamlining the performance evaluation system while raising and keeping healthy trees. The industry members have been fundamental by guiding and advising through the Cherry Breeding Program Advisory Committee (BPAC) and the Washington Tree Fruit Research Commission (WTFRC). The program focusses in 5 main ideotypes with different efforts allocated according to the industry priorities (Table 1). Table 1. Sweet cherry breeding selection parameters and descriptors for the Pacific Northwest region. The program has 3 phases. Phase 1 includes making new crosses, planting own-rooted seedlings and single tree performance evaluation. Phase 2 includes replicated trials of grafted advanced selections at 3 locations representing each market timing: Early site (Pasco); Middle season site (Prosser); and a late site (Wenatchee) in WA, and one site in OR (MCAREC-Hood River). Phase 3 corresponds to the replicated trials of elite selections on grower-cooperator orchards in WA and OR prior to release. Currently, there are no advanced selections for the late-season market class nor Phase 3 elite selections. During early 2017, the WSU team with BPAC advice, discarded nine advanced selections (out of a total of 24 going into 2017) considered not promising enough in fruit quality and/or productivity or that exhibited fatal flaws, based on established PNW industry needs and priorities. DNA profiling has been used to improve breeding efficiency. All parent material and current Phase 2 selections have been analyzed for whole-genome DNA supported by the RosBREED project. Genetic tests for self-fertility and fruit size ensure that only parents with a high probability of producing large fruited and self-fruitful progenies were used in crosses in the past. The tests also helped to eliminate inferior seedlings so only seedlings that have favorable alleles for desired traits were planted in what it is now the Phase 1 seedlings. The marker-locus-trait (MLT) tags will be deployed once very reliable, robust genetic tests are available. The WSU sweet cherry breeding program continues to concentrate on finding improved cherry cultivars that will benefit both growers and consumers. Greater efforts are directed to developing early mahogany and late mahogany type cherries, with PMR especially in the mid-season and late varieties, and self-fruitfulness in all market classes. The focus for selection is exceptional fruit quality at harvest and postharvest for each market class, which includes size, firmness, good flavor, and appealing fruit. Additional characteristics are evaluated either to efficiently discard selections with fatal flaws or select for specific markets classes, for example, mechanical harvesting, resistance to cracking, heat tolerance, crop load, and ripening variability. Powdery mildew resistance (PMR) is one of the most demanded traits required for the mid-season and late varieties for the PNW Sweet Cherry industry. During 2017, in collaboration with Gary Grove and Claudia Probst, a reliable and efficient assay for revealing the genetic potential for fruit powdery mildew (PM) resistance was developed and is routinely used in the PNWSCBP. Resistant and susceptible breeding individuals have been successfully discriminated for both fruit and foliar PM infection. Although this project goal is ongoing, preliminary results indicate that the genetic source for resistance from PMR-1 (inherited from ‘Moreau’) is the same as that from the small-fruited Mildew-Immune Mazzards. 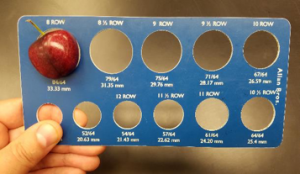 This source of resistance appears to be common within the PNW sweet cherry breeding program due to the extensive use of sources carrying the resistance allele for at least the last 10 years of crossing. A total of 12 selections were evaluated in Phase 2 in 2017. Several promising selections stood out: R1, R3, R17, R19, and especially R29. R19 is Early Mahogany, 4 days after Chelan and 10 days before Bing in both 2016 and 2017; while the other four selections are Mid-season Mahogany from approximately one week before to four days after Bing timing. Selection R29 showed particularly promising characteristics compared to its standard Bing, having substantially larger and firmer fruit (average 14.8 grs, 32 mm of fruit size and 321 g/mm of firmness). Selection R29 has a sweet flavor and an attractive appearance (shiny luster and good color development) at harvest and post-storage. However, it has low acidity compared to Bing. In 2018 we expect enough crop for R29 in Pasco for a full harvest and storage evaluation. The WSU Breeding program also continues to preserve germplasm with good horticultural practices including monitoring irrigation, standard sprays, plant nutrition and disease management, virus routinely testing, training and pruning according to the specifics needs in each stage of the program. As a result, during 2017 more than 50% of the cherry breeding footprint was reduced. Maintenance and evaluation of sweet cherry breeding program germplasm. G. Grove, Final report WTFRC, 2017. New cherry varieties wanted urgently, G. Warner, GFG, May 2015. Early cherry is on fast track, G. Warner, GFG, May 2015.